Google Play currently requires that your APK file be no more than 100MB. For most applications, this is plenty of space for all the application's code and assets. However, some apps need more space for high-fidelity graphics, media files, or other large assets. Previously, if your app exceeded 100MB, you had to host and download the additional resources yourself when the user opens the app. Hosting and serving the extra files can be costly, and the user experience is often less than ideal. To make this process easier for you and more pleasant for users, Google Play allows you to attach two large expansion files that supplement your APK. This two large expansion files are OBB files. How to Install APK with OBB file using a PC or a Laptop? Step2: After getting all the required files you need to connect your phone with your PC via USB cable or Bluetooth connection. 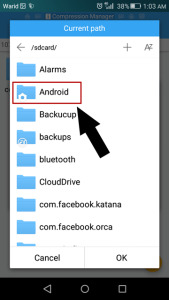 1.Place the APK file in your phone’s SDcard or Internal memory (preferably external SDcard). 2.Browse your phone memory/external memory and tap on the APK file. 4.Wait for the APK to install. 5.Do not run the application yet. 6.After successful installation, you need to place the Data / OBB file in the right place. 1.First of all unzip/extract the downloaded OBB or Data file in your PC or laptop. 3.If you cannot find the OBB or Data folder, you can create a new folder manually. 4.Make sure that the files are successfully copied in your SDcard. 5.Disconnect your phone from PC. 6.Run the APK file now. 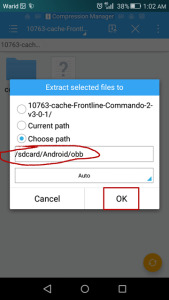 It is even easier to install APK with OBB files directly on your android device. Just follow the steps below. 1. Install the app ‘ES File Explorer’ on your android device. 3. 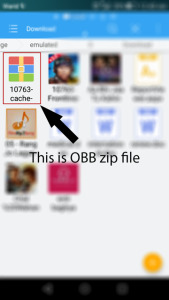 Once you have downloaded the APK and the OBB file, open ES File Explorer that you installed in step 1. 4. 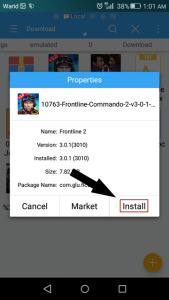 Locate the APK file, click on it and select ‘install’. 6. Now you need to place the OBB file in the right place. 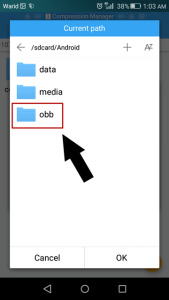 In order to do so, locate the OBB file in your device. 7. Click on the OBB file. (it asked, choose‘ES zip viewer). 8. 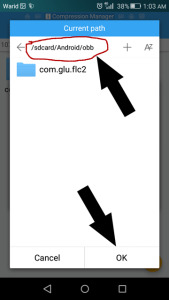 After the OBB zip file is open, you will see a small box with an arrow on the top right. This is the ‘extract’ button as shown in the image. 10. Now you have to choose the path where you want to extract the content. 11. Select ‘choose path’ and click on the box below it. 12. It will open a box where you can choose the path. 16. Now you will see the selected path (sdcard/Android/obb). 18. Wait for the files to extract. That’s it. 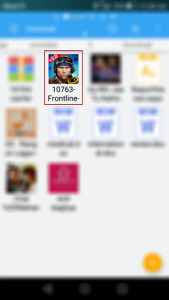 Now you are ready to play your favorite game.